Everyone knows Google. Finding technical or non-technical, grocery or garment, electronic gadget or household – everything happens on internet. The majority of web traffic is driven by the major commercial search engines: Google, Yahoo and MSN. Google attracts approximately 70% of worldwide searches at 37 billion, with Yahoo (8.5 billion) and Microsoft (2.2 billion).Search Engine Optimization or SEO is a process by which website’s internal and external aspects are adjusted to gain high position in search engine result set when somebody searches for a keyword or a key phrase. These search results are referred as organic or natural results. High position and visibility of your website in top search results, invariably lead to sites receiving an increase in traffic. 78% of users abandoning their search if the first 3 pages don’t provide an answer. You can target these web traffic visitors to turn them into sales, advertising revenue, reviews, votes, referrals, recommendations or whatever your web page / business intentions are. With the help of SEO, your can target to have increase in web traffic.Anyone promising “guaranteed top results”, “submission to thousands of search engines and directories”, “instant results”, “permanent top positions” or any such things, most likely doesn’t know what they’re doing and are worth avoiding. It is impossible for anyone to guarantee that your site achieves number one placement unless they run the search engine results or Google algorithms or unless the top ranking is for a keyword or key phrase that exists only on your site. 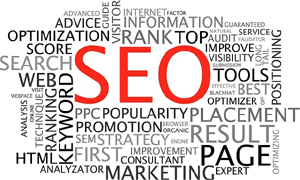 Professional and successful search engine optimisation is a multi-disciplined multi-activity process involving various combination of professional skills. Analysis, experience, understanding and knowledge are all integral to a planned, focused and well-executed Search Engine Optimisation project of a website.